The global trend towards lightweight construction is particularly evident in the aviation industry. In the development of new civil aircraft generations, innovative materials such as carbon fiber reinforced plastics (CFRP) are being used in load-bearing structures. The A350 from AIRBUS, for example, developed a civil aircraft for the first time, the majority of which consisted of CFRP. The production of the skin sections from the fuselage area of this aircraft type is often carried out using Automated Fiber Placement (AFP). Automated Fiber Placement is one of the leading manufacturing technologies in the field of cost-effective, high-quality series production of lightweight structures. The use of AFP processes significantly reduces the loss of expensive CFRP material. The carbon fibers used are several millimeters wide and impregnated with resin, so-called tows, must be placed on a tool surface as load-free as possible. In contrast to Automated Tape Laying (ATL), the considerably narrower tow widths make it possible to apply the material very close to the desired contour of a component to be produced, thus reducing loss to a minimum and increasing the material usage rate. Often, load-free storage paths are not guaranteed by today's path planning algorithms due to a lack of material models and path planning optimization algorithms that are only inadequately suitable for CFRP, especially not for complex components. As a result, gaps, overlaps and detachments of the material occur which do not meet the requirements of component design and the structural requirements (design requirements) placed on them. Due to the increasing geometric complexity of component surfaces and the high structural requirements placed on CFRP laminates, AFP system programming is often still carried out manually and with great effort even today, in compliance with strict rules and regulations. Once programming is complete, additional time-consuming testing procedures are used between the individual production steps to locate and classify defects in the laminate. Components that do not pass an inspection, go through a large part of the process chain and cause additional costs without contributing to added value. The problem here lies on the one hand in the development of a defect location and on the other hand in the time it takes to detect the defect. A very time-consuming visual inspection, as frequently required within the scope of quality control by process supervisors for every position of the CFRP component, can only partially detect these defects and also causes high inspection costs. The undiscovered and uncorrected defects also cause repair costs at a later point in time, mostly with considerable scope and costs. The implementation of an online inspection, for example, and an automated adaptation of the path programming based on it, offers possible solutions to avoid such problems. One possible form of inspection is thermographic monitoring in the AFP process. This allows defects to be detected and classified during the filing process. By mapping the TCP to the component, the positions of the occurring defects can also be determined directly. The enrichment of the path planning by process knowledge, which is collected in the manufacturing environment, optimizes the NC programming of AFP plants in the age of the industry 4.0 permanently. This credo calls for the establishment of an architecture for information feedback and automatic iterative optimization of path planning based on manufacturing knowledge and online monitoring results. These technologies are bundled for example in our in-house TapeStation Software. A second sensible optimization step is the adaptation of the path planning. For this purpose, a path planning algorithm is applied which, automated by an iterative process, generates courses for the production of the laminate, taking into account the specified production requirements. In one layer the courses can be aligned so that all contained gaps and overlaps are within the given tolerances and at the same time ondulations in the tows are prevented. 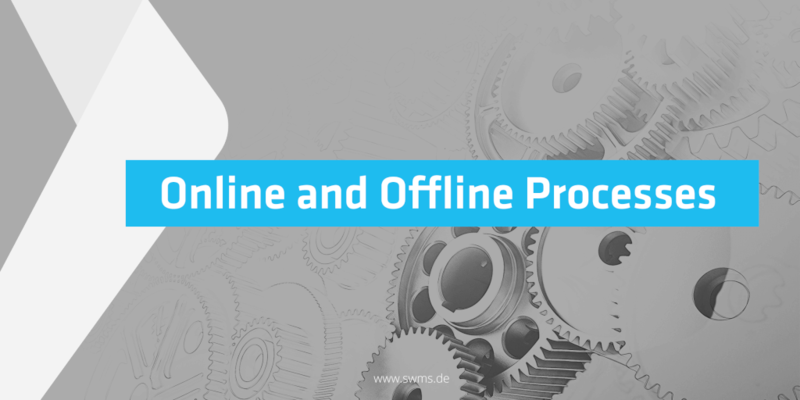 As a learning process, the algorithm derives additional rules from the experience of online monitoring in order to achieve results for new components that meet the high structural requirements of the aerospace and automotive industries. The implementation of the information flow between the physical and virtual system represents a core requirement for the coupling of the online and offline approaches. Here the knowledge of the production engineers in the form of quality requirements for the component and the automatically evaluated data from the production monitoring comes to bear. 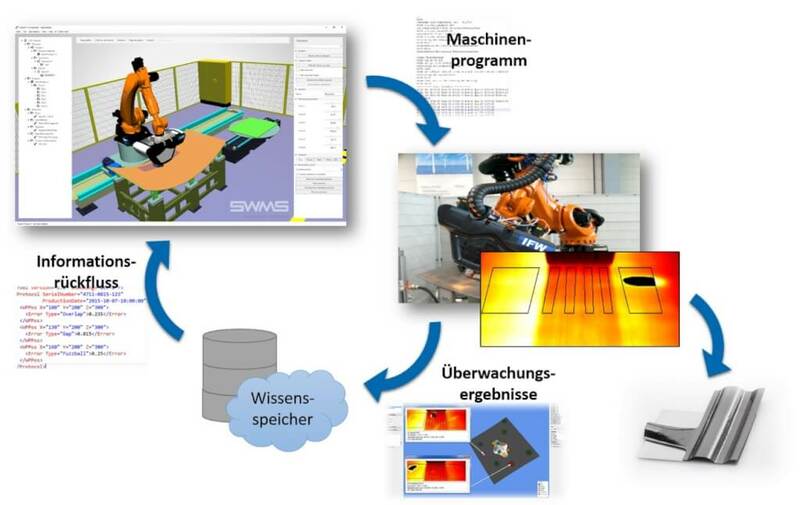 Thus a system in the context of industry 4.0 can positively influence the "time to market" for components made of carbon fiber reinforced plastic. For further information, please refer to the publication in the JEC Magazine "Automated path planning and thermographic monitoring for Automated Fiber Placement" (Jec composites magazine; 2016, V.104, p. 76-78.). You are also welcome to order the publication from us. We would be pleased about a deeper exchange of experiences, also gladly on the JEC World fair in Paris. 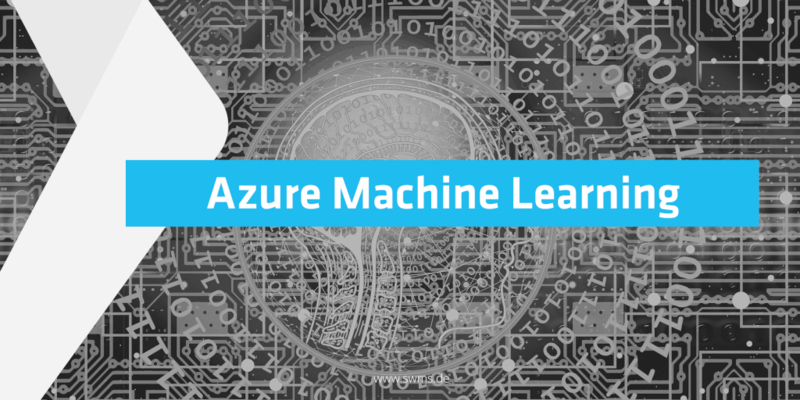 How do you teach Artificial Intelligence (AI) to work with Azure Machine Learning?